Dolphins do not swim with people, “kiss” people or tow people through the water because they like to — they do it because they have to. 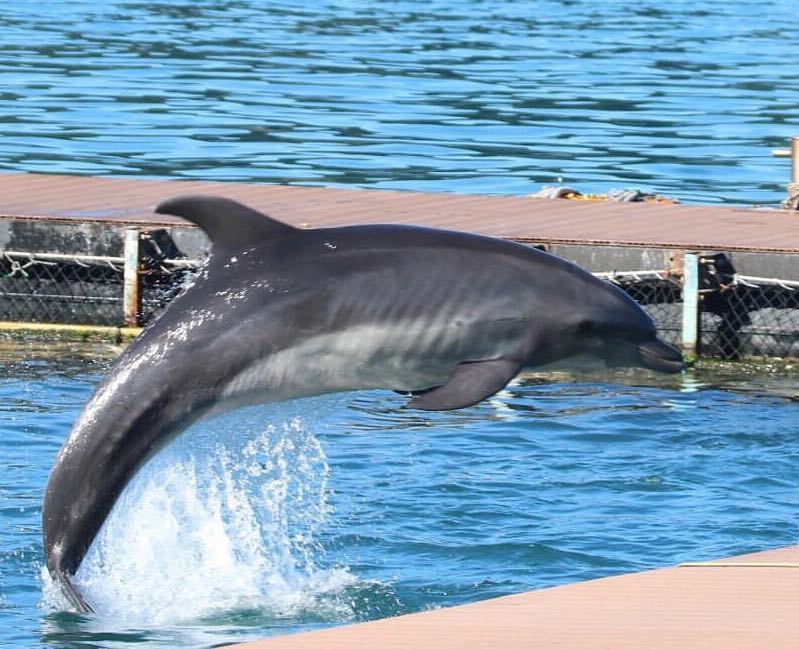 None of these are natural behaviors, and every captive dolphin is trained to correctly perform these behaviors because if they do not, they will not eat. This is the fact of every captive dolphin encounter. Even the best captive facilities cannot compare to the open ocean; most captive dolphins reside in shallow, crowded tanks with inadequate room for diving beneath the surface or avoiding aggression. Others encounter garbage or other pollutants that get trapped in their pens. 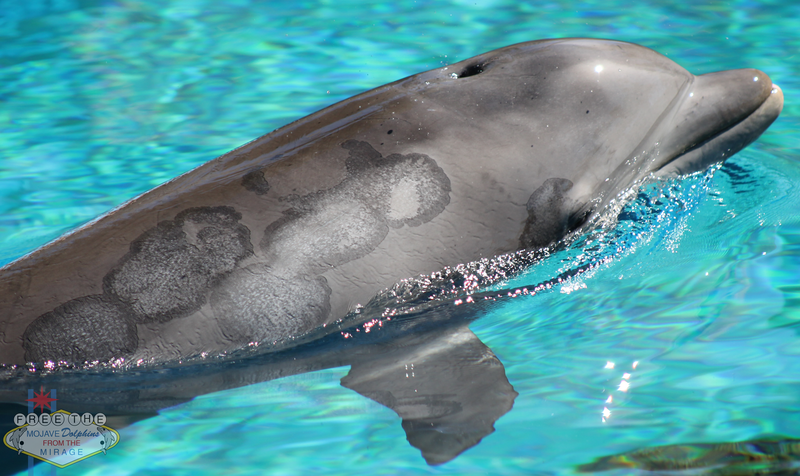 Stress, illness, and aggression are frequently seen in captive dolphins. A photo opportunity makes a brief memory for the visitor, but confinement for the dolphin is a lifetime of suffering. Where do the dolphins come from? While captive breeding programs have become common, some dolphins in these programs are the result of wild capture. 28 dolphins captured in a mass drive hunt in the Solomon Islands were transferred in July 2003 to Parque Nizuc Atlantida in Mexico, where at least 12 of those dolphins died within five years–some survived less than a week. 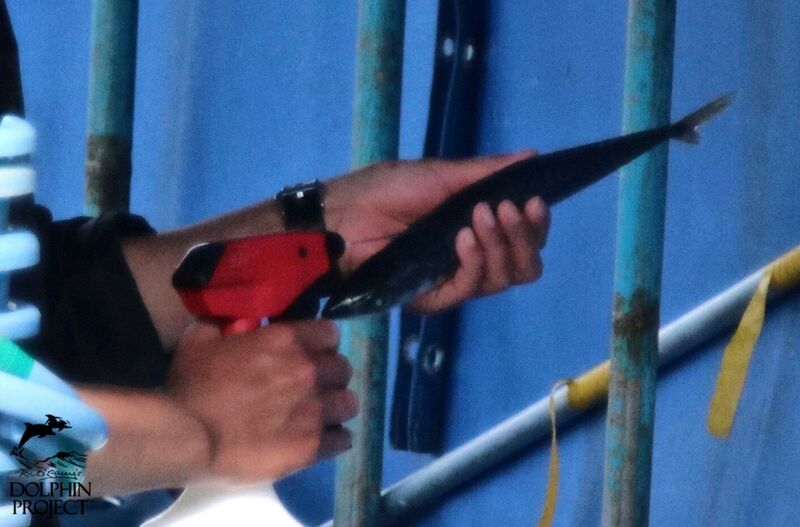 Dolphins from the Taiji drive hunts were sold to Mexico-based Cabo Adventures in 2005. (Ceta-Base.) 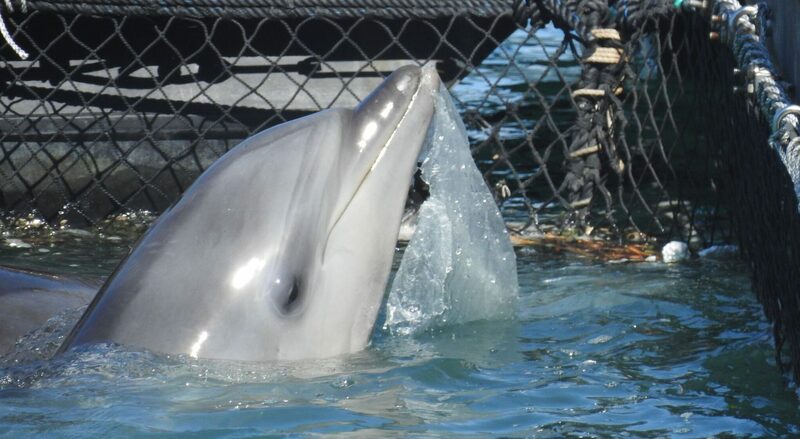 Captivity directly supports the hunting and slaughter of wild dolphins. Captive breeding bears its own issues; while not taken from the wild, active breeding programs take a toll on both mother and calf. In 2017, a total of 46 cetaceans were born in captivity. Of those, 6 were stillborn or miscarried while 8 more died shortly after birth, resulting in a 30% mortality rate. (Ceta-Base.) The calves are often separated from their mothers early so that they may return to work and be bred again; some calves are bullied by tank mates or even their own mothers due to the stresses of captivity. Captive-born dolphins are also trained to perform through food deprivation, and face the same challenges of confinement as their wild-captured counterparts. Swim-with-dolphins (SWD) programs place extraordinary amounts of stress on captive dolphins, who may interact with over 50 tourists a day. They are trained into submission through food deprivation techniques, kept hungry so they will perform on demand. 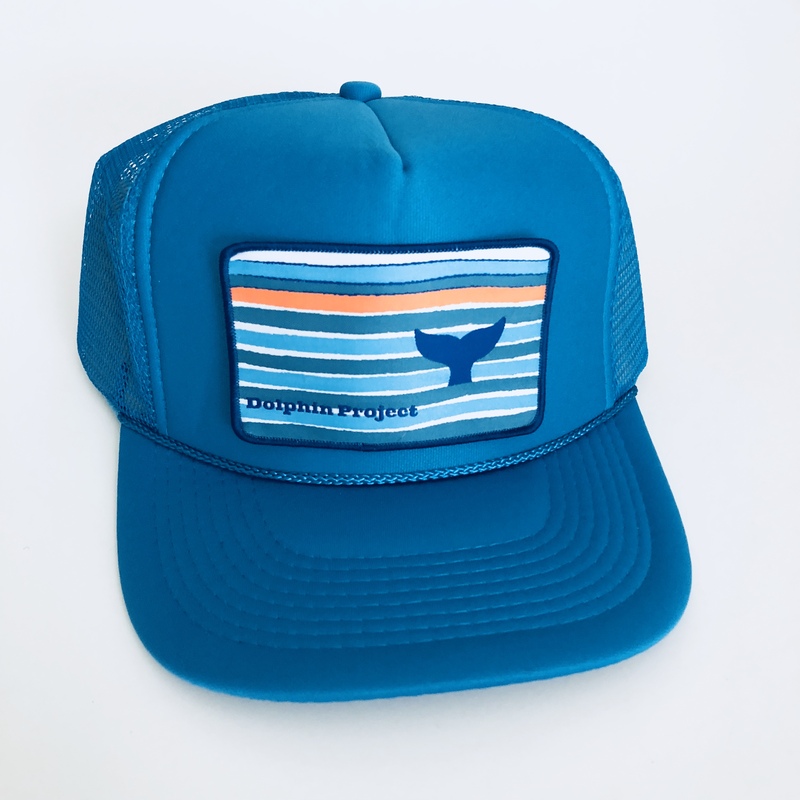 Almost all dolphins must be routinely medicated to combat the physical and psychological stresses placed upon them. As such, many die prematurely due to illness or stress-related disorders. 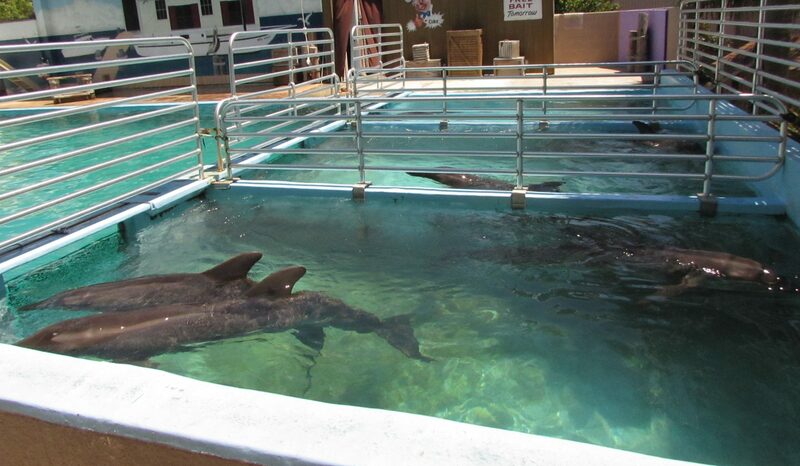 It is considered the norm for dolphins to be confined in tiny, chlorinated tanks, where they are subject to relentless sun exposure, noise pollution, continuous human interaction and water toxins. Some live in polluted harbor waters, in hastily constructed holding pens, “conveniently” close to cruise ship ports for quick, tourist access. 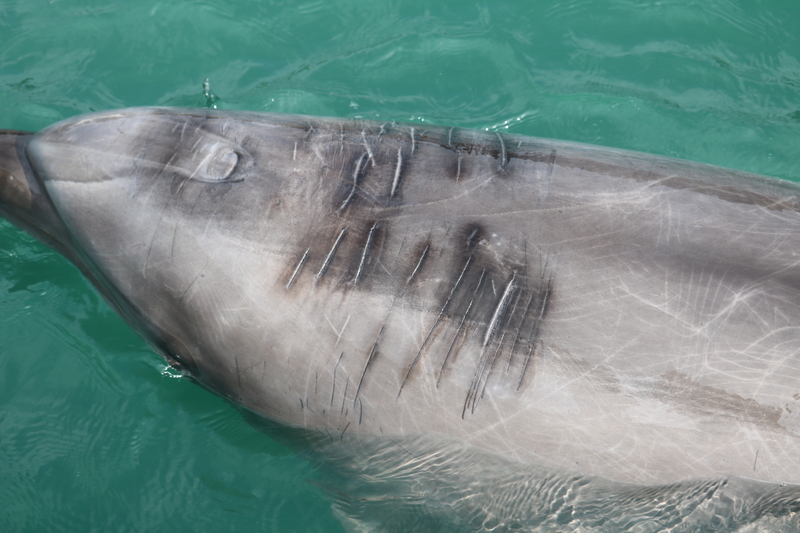 The majority of dolphins who participate in SWD programs clearly show physical indications of overwork such as persistent open wounds and abrasions as a result of the encounters. Despite the ongoing decline in SeaWorld’s attendance and revenues, swim-with-dolphins programs have increased significantly in the past decade, due in large part to cruise ship traffic in the Caribbean and Mexico. 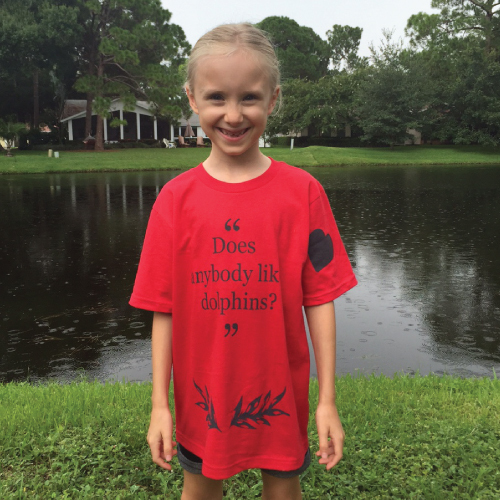 Coyly marketed as “once in a lifetime experiences,” swim-with-the-dolphins programs have become a hallmark feature of the vacation experience. The dolphin encounters are sold directly by cruise companies at the time of booking, or on board prior to reaching ports of call. Special incentives are also offered, enticing potential customers with hard to resist package pricing. At present, there are 33 facilities in Mexico and over 30 in the Caribbean, with more planned for construction. In addition to the consequences for the dolphins, human guests also face significant and obvious risks. Numerous instances of aggressive physical contact against humans have been documented at SWD facilities and petting pools, as can be found HERE. Inadvertent teasing by guests can quickly lead to a response from these frustrated animals, as can inexperienced handling of the dolphins. The only way to prevent mutual harm is to avoid such encounters by TAKING THE PLEDGE not to support dolphin captivity.